The Mendocino coast is its own excuse for getting away. Mediterranean climate, pristine nature, wild Pacific coastline, an abundance of local, clean and organic food of all types, small friendly communities, accommodations from camping to five star – What more could you want? Check out the Mendocino Coast. But just in case you need an excuse, an event I attend each year is Bob Fest in Mendocino, California. 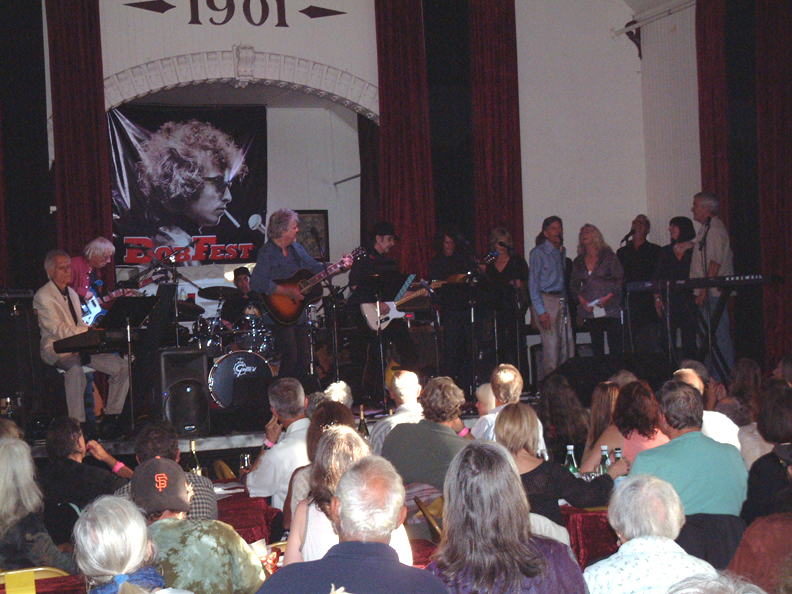 Bob Fest is a celebration of the music of Bob Dylan. It’s the ideal event to attend while escaping to the scenic, laid back, Mendocino Coast. Featuring local, talent, production, support, food and libations, you are immersed in the casual, creative and friendly vibe that exemplifies Mendocino County. The professional refinement of the performance will stand out as one of your best musical experiences EVER, even for those that are not Dylan fans. Opening number for Bob Fest. Local fans and global visitors sell out the two night music concert. Fourteen+ local musicians and surprise guest artists present their own style and arrangements of 30+ Dylan songs. The cast and number of player’s changes throughout the evening as the artists merge and meld into diverse alliances. All performers are on stage for the opening number – truly spine-tingling. The exact song is a closely guarded secret each year. Some numbers are solo, even acapella. Songs may be electrified or acoustic. Bob Fest is not a sound alike or tribute band. Weeks of collaboration, arranging and rehearsal precede every show. The producer, Bob Markel, and the performers take Dylan’s music to heart and make it their own. Each song has an outstanding arrangement supporting the interpretation and panache of the players while illuminating Dylan’s work. Each Bob Fest includes new material from previous years and roadshows. It’s an ever growing, living, body of work. 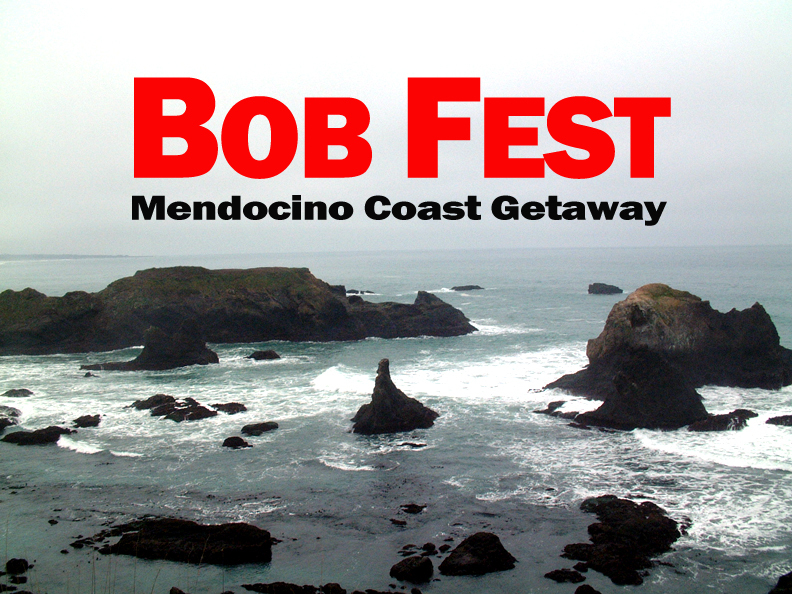 The 4th Mendocino Bob Fest cast includes – Steven Bates, Bill Bottrell, Martha Bouquin, Lawrence Bullock, Phil Dunn, Jon Faurot, Richard Fienbop, Sheila Fetzer, Marcus McCallen, Nahara, Jamie Peters, Billy Schieve, Sue Sisk and The Bobettes. See photos, bios and details on each artist at the Bob Fest web site. All Bob Fest players are vocalist. Most play guitar – electric and/or acoustic. In addition there are drums, keyboard, bass, harmonica, mandolin, assorted strings and percussion. The Bobettes are the backup singers throughout the night. It’s a highly coveted spot on stage for all the musicians. This support group changes size frequently and utilizes all players at one time or another. 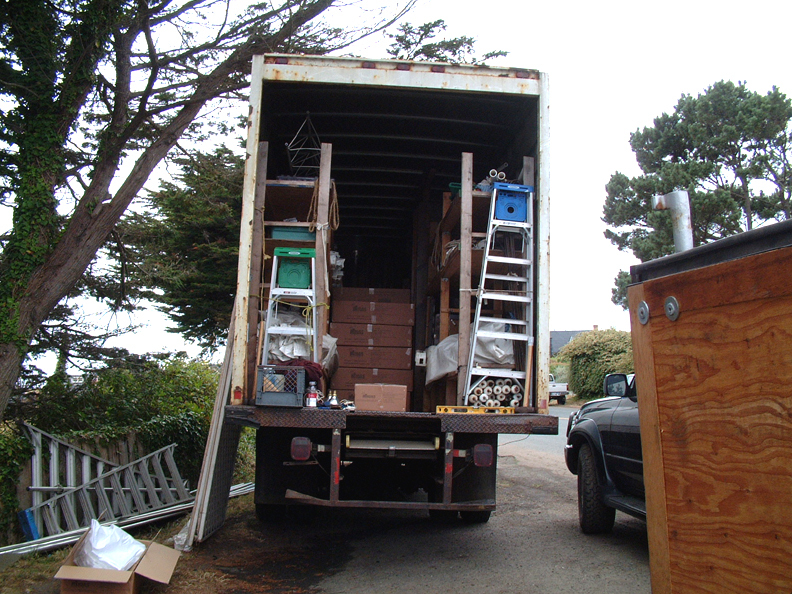 Equipment for Bob Fest – lots of hauling! Peter Temple, sound engineer extraordinaire, directs lights and sound for Bob Fest. It is a massive undertaking requiring equipment volume far beyond the normal ‘band requirements’. Peter has worked and recorded with all the musicians at one time or another. He knows the historic, yet challenging venue, Crown Hall, like his own home. Peter is a huge part of what makes the show so outstanding. He contributes professional sound and style. Local chef, Oscar, has a brilliant menu planned – everything from noshes to full dinners. Known for her ‘Hot Rockin Pasta’, Eggplant Parm, Corn Chowder, Heavnly Biscuits and more, the menu is always a delightful surprise. It will include vegetarian and gluten free options. Doors open at 6 PM, leaving plenty of time before the show for dinner and socializing at shared tables. In the back of house a bar is open throughout the event. Bartenders serve local wine, beer, soft drinks and water. Knowledgeable, friendly service adds much warmth to the experience. During the last set a dance floor is cleared. All you fun-loving dancers will have plenty of company dancing the house down. Don’t forget to pack your dancing shoes. Crown Hall was built in 1901 by Portuguese settlers from the Azores. 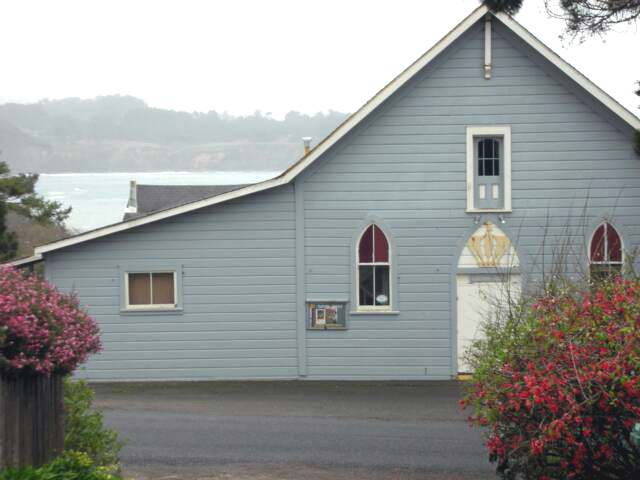 This historic building is in the heart of Mendocino. It is within walking distance of hotels, B and Bs, vacation rentals, restaurants, beaches, parks, the Mendocino Art Center and shopping. In the last 114 years Crown Hall has been used as a church, chapel, town hall, meeting hall, musical theater and class room. Crown Hall has hosted concerts, film screenings, craft fairs, weddings, receptions, dances, wine tastings, presentations, entertainment and parties of every description. It has survived the 1906 earthquake, wind, rain, salt and enthusiastic humans. I love this building and all the local history it has observed. BobFest is August 7th and 8th, 2015. Doors open at 6 PM, the show starts at 7:30 PM. Presented at Crown Hall, Mendocino, California, admission is $20 general chair seating and $30 shared table seating, $25 at the door if not sold out. Tickets are on sale now. Purchase locally at Music Merchant, Fort Bragg – Out Of This World, Mendocino or online at BrownPaperTickets.com. See performer’s profiles, photos, details and Bob Fest Roadshow schedule at the Bob Fest web site. Getting away to the Mendocino Coast really needs no excuse, but if you feel you must have one, come to Bob Fest, it is part of the Mendo heart.